Kevin is at my parents’ house when I get home from school. His normal uniform of a white Hanes shirt and khakis are black with char, and his arms show deep red gashes. All day he’s been helping my dad clear brush left over from the fire. His eyes light up when I walk in the house. My dad is grateful—and desperate—for the help. It’s been six months since the forest fire burned everything down, and there is still so much work to be done. But I know why Kevin is here. There is something heartbreaking about the way he sits on the couch of this modular home that my parents had shipped to the property after the fire. His crooked glasses coated with dust, he is exhausted but summoning his last bits of energy to smile at me. I’m weary too. I can hardly remember an existence where Kevin wasn’t hovering in the foreground. I mumble a hello and go straight to my room to start my homework. I appreciate the help for my family, but this isn’t Bible times. Jacob of the Old Testament worked in the fields to earn the favor of Rachel’s father, but who cares? It isn’t happening here. I’m only eighteen, but I already feel like my life hasn’t gone as planned. Instead of becoming the world changer they said I’d be, the victorious woman of faith I dreamed of being, I dropped out of college because of this ache in my chest that won’t go away, this constant loneliness. The fire wasn’t caused by my family’s sin, my pastor made a point to felling me. But I feel like it wouldn’t have happened if I had more faith. In the dark hours of early mornings, I’ve whispered the word depression, but I won’t say it out loud. I’m not depressed. Depression is for people who don’t love Jesus. Kevin knocks on my door. I shout, “Come in!” in a tone that really means Go away. “Hi, er, I was wondering if you wanted to hang out this week,” he says, standing stiffly in my doorway. I have to treat him this way because any kindness I show him fuels his obsession. I’ve known Kevin has liked me ever since he gave me that journal two years ago, looking at me all meaningfully one night after youth group. It wasn’t until after I got the journal home that I noticed he’d written a note to me in the inside flap in his perfectly proportioned geometric caps. I’d tossed the journal under my bed and wished the gift had come from someone cute. “Yeah, that will be fun, but I was hoping to hang out with just you for a little bit. I need to tell you something,” he says. “No. I’m not ready to tell you now,” he says. “Then…how about Wednesday? I’ll meet you in the church parking lot. Four o’clock,” I say. “Yeah,” he says. He is still standing, frozen. It’s Wednesday. We are sitting in my Honda Accord, parked outside the baseball diamond at the Pine Canyon Park where we used to come pray for revival. He had offered to drive, but I want control of this outing. I have no plan in mind, other than knowing I don’t want to get food or coffee with him. The less festive and date-like this encounter is, the better. Kevin smells disgusting, like he’s been dumpster diving. He is staring at his lap in the passenger seat of my car. My family is going to the movies in an hour, so I don’t have long. I’m waiting for him to tell me he likes me, and then I will politely tell him I don’t share his feelings, so I can get to the movies in time for the trailers. But Kevin isn’t spitting it out. “So you needed to tell me something?” I say, prompting him. Long pause, again. I look over at him. He’s gelled his hair, and he’s wearing a polo shirt. Oh gosh, he dressed up for the occasion. I can hardly bear the thought of him squeezing gel into his comb as he got ready today, thinking of me. Then again, if he gussied up, he could have at least showered off the stink. “Well, what is it?” I say. I want to say, Look Kevin, this is never going to happen, but I don’t. These are words he needs to form. He gives me a desperate smile, and my heart aches for him. I had thought I wanted him to squirm today, to make him pay for all the obnoxious ways he’s followed me around for years, but now that he’s here, squirming, I want to comfort him. I realize the reason I’m here sitting with Kevin right now is because I care about him, and that I always have. He lets out a huge sigh and closes his eyes. The sigh brings a wave of putrid, rotting death into the car, and I roll down my window, trying not to let him see my disgust. I look out the window, the strain in his voice almost too much for me to handle. “But then, that night, I had a dream. In it, you were covered with tattoos. From head to toe,” he says. “Okay,” I say, feeling sick. “The tattoos were a script in Hebrew, but in my dream, the Lord translated them for me. They said, ‘Carly: Loving wife to Kevin.’ They said, ‘Carly: Loving mother of four.’ They said, ‘Carly: beloved by God,’” he says. I was hoping for an I-like-you-will-you-go-out-with-me conversation in which I would reject him kindly, easily, and I could make my movie. But I guess if that were all he had to say, he would have said it years ago. This is something else entirely. “The dream was so vivid I woke from it, sweaty, with an urgent sense to write everything down. God was so near me that night as I cried out to him. I said ‘God, but she’s too good for me,’ and God said ‘She is yours if you live your whole life for me,’ and I wept,” he says. “Wow, that’s…interesting,” I say. I sound like an idiot. “So from that day forward, I trusted God on his promise. I read my Bible every day and made him the center of my life. I felt if the promise was to come true, I had to believe that it would. I had to treat you like my future wife as an act of faith. There were times I knew it bugged you, that you wanted me to leave you alone, and it was hard for me to trust God in those times . . . especially when I saw how much you liked . . . Danny,” he says, his voice choking on the name. “Let’s not talk about Danny now,” I say. “So this is me, acting on that faith, and believing God, even when it doesn’t make sense,” he says. My stomach turns upside down and I brace myself what comes next. He says this without looking at me, without a ring, without a history that would make the question remotely sane. His eyes are closed and he is heaving fast breaths as he waits for my answer. 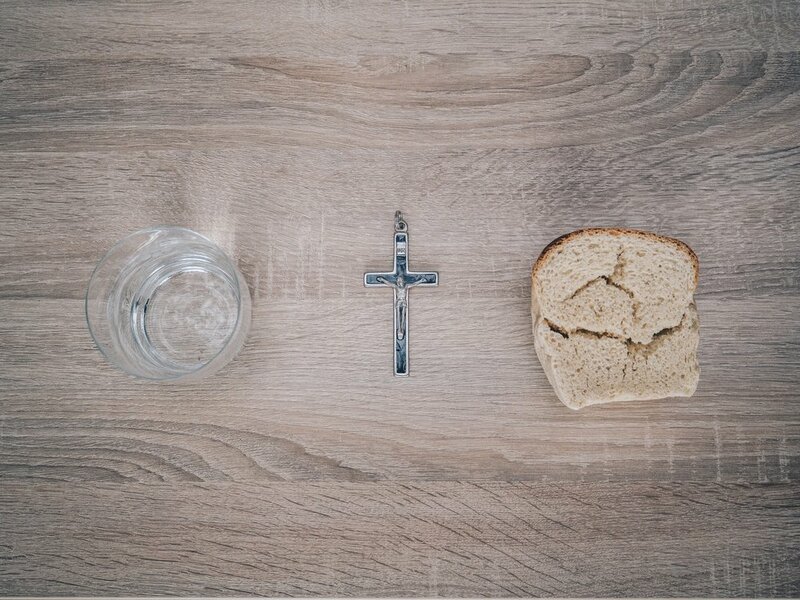 Fasting. That’s why he stinks so badly. His guts are crying out for food and he’s denied them for three days. Because of a dream he had four years ago. Because of a word from God. The words of a thousand sermons come back to me. Dwell in the Secret Place of the Lord and he will whisper revelations to you. Fast and pray for miracles. God has an incredible destiny for you. But hearing them in practice now, with Kevin’s heart smashed on the dashboard in front of us, their craziness comes into sharp focus. This is insane. Believe in the promises. I can hear our favorite revivalist saying it, his raspy voice filling the words with urgency and purpose. Or don’t, I want to shout back at the preacher. Don’t believe the promises. All these years, Kevin’s been praying and believing and showering me with gifts because he believes in a promise, when all along there was nothing he could do to make me love him. “Kevin, don’t blame yourself. You could be the godliest man in the world and I still wouldn’t—” I stop, realizing just how hurtful the end of that sentence would be to him. “And we still wouldn’t be compatible.” I hand him an In-n-Out napkin for a tissue. He wipes his cheeks and blows his nose. “Without this dream, I don’t know what I can believe in anymore,” he says. I want to think he’s being manipulative, but his words are too familiar. They take me back to the day one year ago when I drove seven hours to visit the boy I thought God had promised me. Stiff from the drive but giddy and in love, I ran to his tall figure outside his church’s fountain as fast as I could. Danny, I’m here, I cried. He pulled away from my hug. Carly, I’d like you to meet my girlfriend, he said. Before those eight words, believing came easy. Now it’s a fight every day, and now in one word—No—I have done the same for Kevin. Believing will never come easy again. “I know what you mean,” I say, and he opens his eyes and looks at me. I can restore his faith right now with a few simple words. I can prove that God exists and that he is good and that the promise Kevin believed isn’t a lie. I can do that right now, for Kevin. Instead, I tell him we can still be friends, feeling like a stupid cliché. The words are genuine, but so empty and small, so not enough for what he needs right now. Knowing this, I don’t try to fill the void with more empty words. He doesn’t speak on the short drive back to the church. I steer to avoid the potholes in the parking lot, and pull up next to his 1970s Thunderbird that he is always fixing with duct tape. He gets out and looks at me with lost eyes, and I know he is saying goodbye. “Eat something,” I tell him, but he doesn’t answer. He walks to his car without turning back. Carly Gelsinger lives in California with her husband and two—soon to be three—daughters. She has a master’s degree in journalism from Boston University. Once You Go In: A Memoir is Radical Faith is her first book.